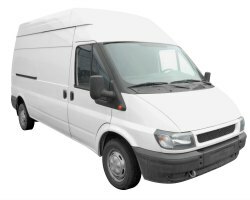 Find commercial van insurance for your van. No matter what your trade or business, be it plumber or carpet fitter, painter or delivery man, we can find great van insurance at a price you can afford. Use our online comparison form below to search a wide range of van insurers and brokers. You will find this specialist panel of insurers provide a wide range of policies designed for all sorts of van drivers, driving all kinds of vans. Remember that, as well as van insurance, you can access breakdown cover, legal expense protection insurance and commercial / business car cover. Run an online quotation now! If you prefer, call for a quote over the phone. Companies able to offer telephone quotations include Adrian Flux Van Insurance 0800 181 4542 (Monday to Friday 9am - 7pm and Saturdays from 9am - 4pm) or Autonet (0800 080 5295 quoting reference 9032). When starting your search for Van Insurance it's well worthwhile taking time out to consider all the ways you are likely to use your van. If you don't, you run the risk of buying cover you don't really need or finding you are not covered for a risk that is required. Amending a policy to include extra cover later normally attracts administration charges. Will you need Goods in Transit cover? Do you require Any Driver cover? For companies with more than one vehicle, run a quote for Motorfleet Insurance selecting the appropriate 'Any Driver' option. For single van insurance with 'Any Driver' cover, contact Adrian Flux 0800 181 4542 (Monday to Friday 9am - 7pm and Saturdays from 9am - 4pm) or Autonet (0800 080 5295 quoting reference 9032). When we undertake our online seach to find you affordable and great value van insurance we are partnered with the following companies: A Quote, Allianz, AutoDirect, Autonet, AXA, Barry Grainger, Bedford, Brit, Broker Direct, Budget, Chaucer, Computer Quote, Dial Direct, Direct Choice, DNA, Done Deal, Equity, Europa, Express, Fortis, Gladiator (Admiral group), Groupama, Grove & Dean, Hastings Direct, Highway, HSBC, Insure Your Motor, Insurance 4 Vans, InsureWiser, KGM, Likewise, Markerstudy, MMA, Moorhouse, NIG, Norwich Union, Nova, OneQuote, Performance Direct, Policy Shop, Premier Underwriting, Provident, QBE, Quinn Direct, Quoteline Direct, Renew, RSA MoreThan, Sabre, See Us 2 Save, Service, Sureterm, The Van Broker, The Van Insurance Company, VanXtra, YouChoose, Zenith and Zurich.